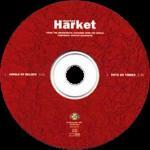 This Swedish promo only CD-single by Morten Harket is taken from the forthcoming soundtrack album Cultures Spans The World (MTG-CD 41666). It features the track "Jungle Of Beliefs" (3:21) sung by Morten plus an art instrumental version of the song, "Boys On Timber" (2:25). The lyrics were written by Morten Harket and Ole Sverre Olsen with music by Ragnar Bjerkreim. It features the musicians: Tom Erik Antonsen on bass, Rene Arnesen on drums, Eivind Aarset on guitar, Ragnar Bjerkreim on keyboards and Per Flemström on flute. The single was engineered by Truls Birkeland and Alf Christian Hvidsteen and mastered at Masterhuset by Espen Berg. The cover, designed by ACE, uses white, grey green, yellow and blue colours and has a textured look (crumpled paper type effect). The title is in white letters at the top and "Morten Harket" is written in large red letters at the bottom. The CD itself is red with the `crumpled paper' effect. The title is printed in white at the top of the disc.